A sequel to one of the most successful musicals ever to hit the stage in Iowa is making its Iowa premiere today. “Love Never Dies” is the follow-up to “Phantom of the Opera,” which broke state box office records in the late 1990s. Bronson Norris Murphy plays the Phantom in the new touring production which offers a combination of both love and horror stories. The original Phantom was played by British actor and singer Michael Crawford to much acclaim in the 1980s. Murphy, a Kentucky native who now lives in New York City, says he’s worked diligently to make the Phantom’s mask his own. Webber, the show’s creator, started working on “Love Never Dies” in 1990 though it didn’t open until 2010 where negative reviews quickly closed the production in London. Murphy says Webber and producers started over from scratch and created the new musical that’s now on tour. Murphy has played the role for more than a year now and says it’s a thrill to have met and worked with the legendary Webber. The new production premiered in Australia and has since seen wide acclaim in Germany, Japan and Denmark before coming to the U.S. 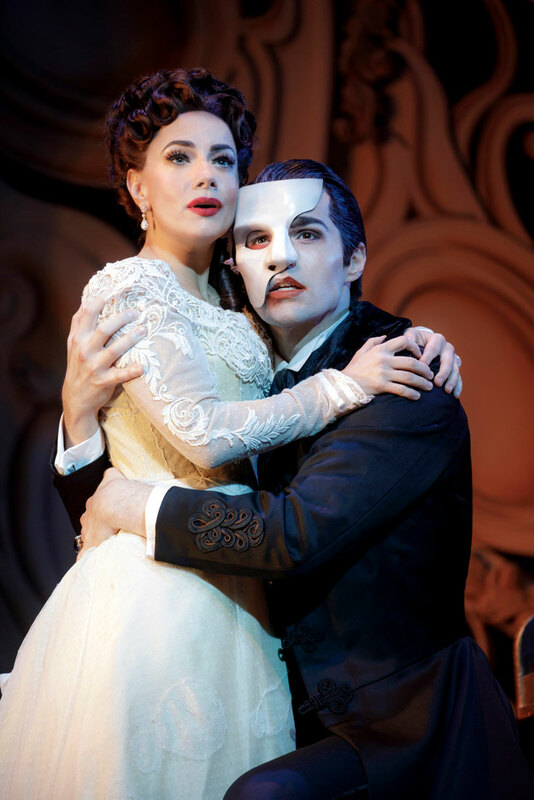 This is the Iowa debut of “Love Never Dies,” which will be at the Des Moines Civic Center through Sunday.